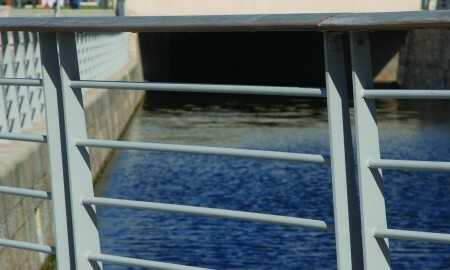 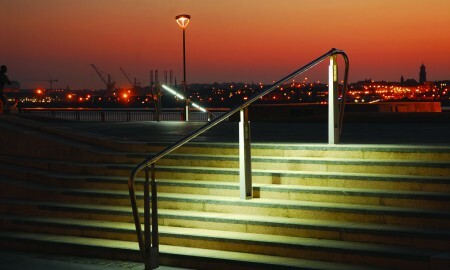 Council incorporates a fabricated mild steel balustrade featuring a Cumaru hardwood top rail. 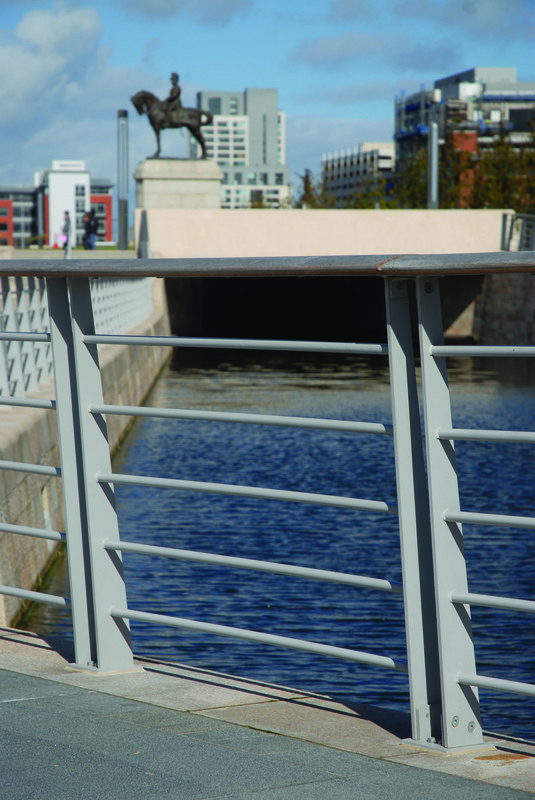 The parapet is designed to allow individual sections or the whole system to be removed for future open air events. 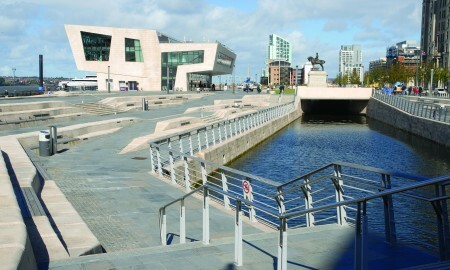 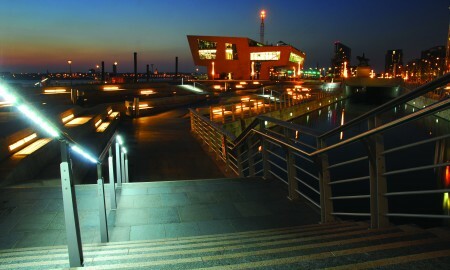 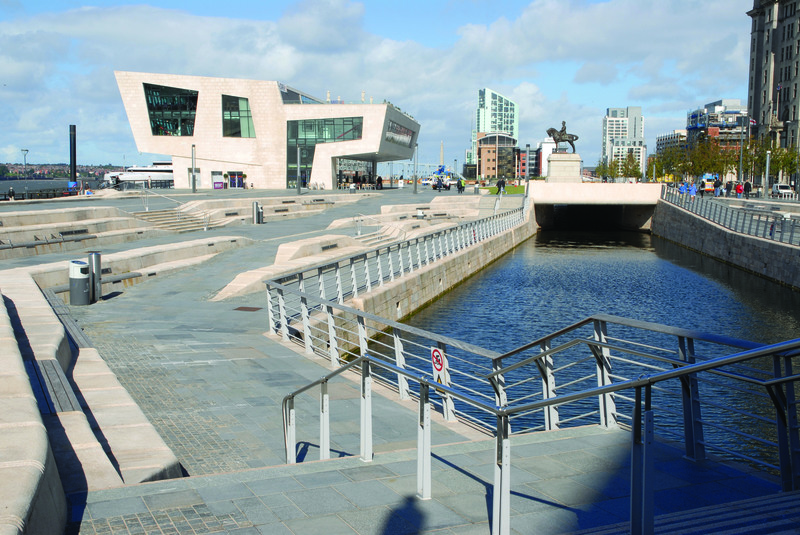 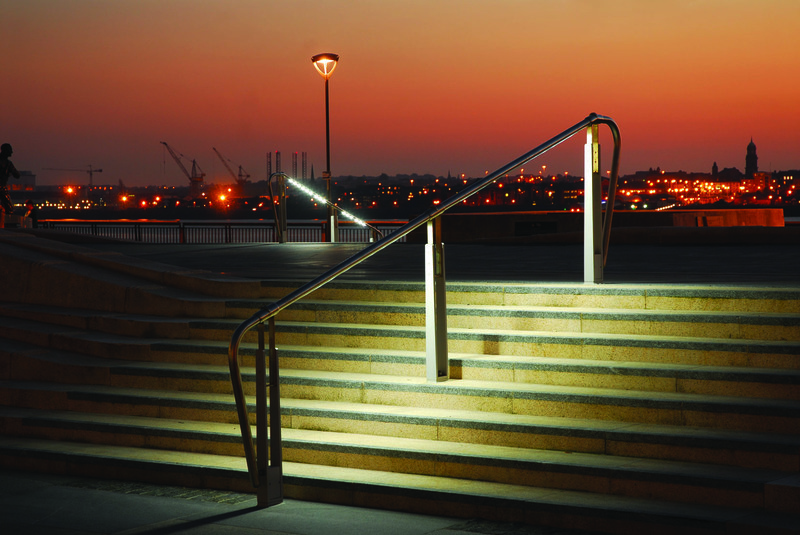 DDA compliant handrails and LED illumination of the stepped areas increases both the safety and aesthetic appeal. 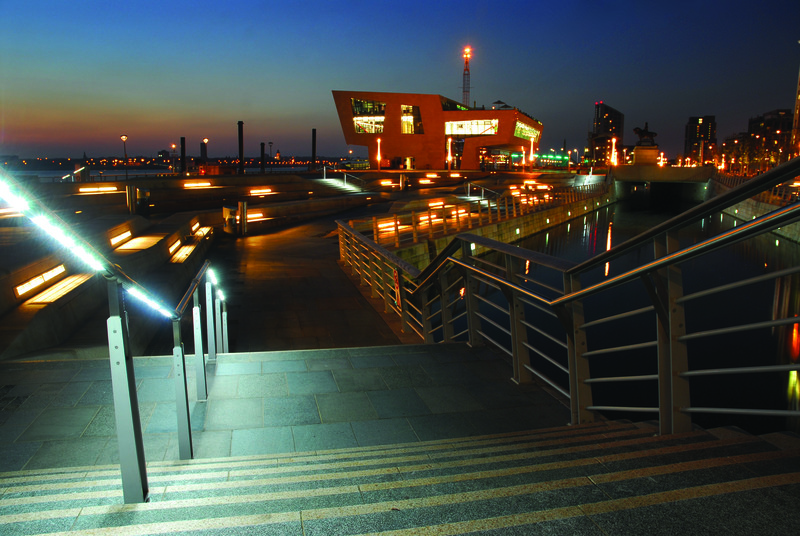 Olympus litter bins, which are ‘indigenous’ to the Liverpool docklands area.